Makeup can be simple, dramatic, and extreme. Just like the artists who love to draw, paint, or take up photography, makeup artists are just as creative and passionate about their work. But does that mean makeup is the same as art? So you want to be sure well, that sounds like makeup to me. In the world of art, a blank canvas is used to show off one’s creative view and personal expression, the very same pattern holds true when it comes to makeup. Only the canvas used in makeup is that of a slightly more lively one. I’m talking about a person’s face. Both traditional and makeup artists use the same rules and guidelines when creating their work. Such as the symmetry of the line work, which is most present in the contouring of the face and lining the eyes. Aside from the obvious, the two worlds also merge together in many other ways such as their use of color and design. And you can’t overlook the tools of the trade. Where a photographer has their camera and a painter has their paint brushes, makeup artists have their special ideal cosmetic products and brushes for various techniques in the application of makeup. 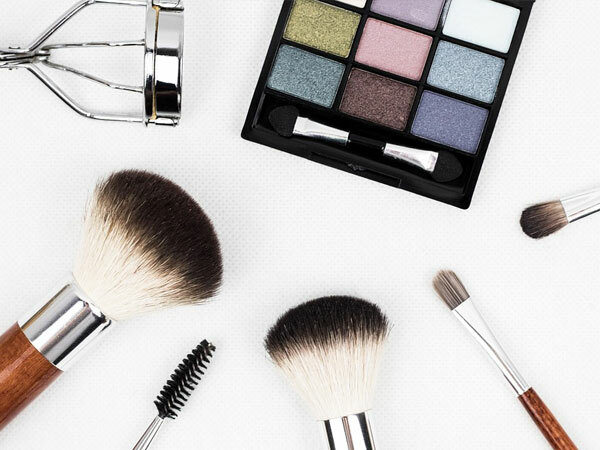 Cosmetic brushes are used by makeup artists to achieve a flawless, airbrushed and natural look that will leave you with not just a beautiful appearance, but a feeling of confidence. Picking and using the right brush is essential in achieving the look and style that you are going for. But what brush should you choose? There is an extensive selection of brushes which can make the experience intimidating and overwhelming. Each cosmetic brush serves a particular purpose, style, and outcome. Learning about the specific details and effects that each can provide will help make it a bit less frustrating. The building blocks of everything in life starts with the foundation. So it should come as no surprise that every makeup routine should begin with an overall base coat of foundation. The purpose of the foundation is to even out your face and transform it into a blank canvas ready for you to paint your masterpiece. But first, you need the right brush! It can be a little difficult and frustrating to apply the liquid foundation without the proper brush. Foundation brushes come in many different shapes and sizes, but they should all be topped with straight and flexible bristles. The best brushes used for foundation need to be firm but at the same time soft to the touch. 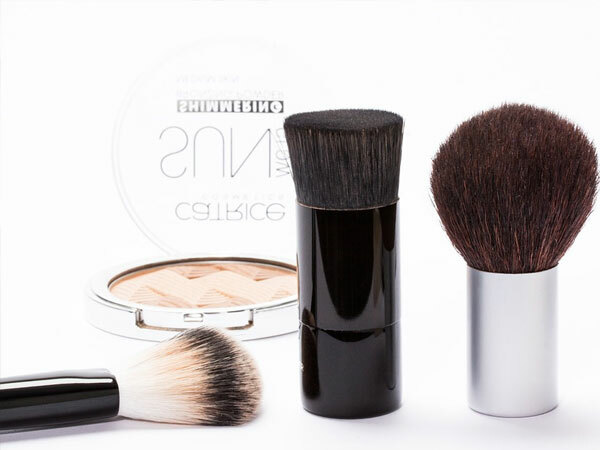 When applying the makeup, you will use the brush to push and blend the foundation into your skin. So you want to be sure that the brush you choose does not leave any roughness or redness behind. Whether you are an avid makeup user or prefer it more casual, you most likely have seen the tapered foundation brush. Designed to achieve the smoothest full-coverage, this is the original and the most common type of foundation brush available. Usually dual fibered, the bristles of this brush are tightly packed and tapered at the tip making it best for fluid applications. With its tapered tip, the flat or rounded foundation brush is also great for getting that full coverage in harder to reach spots, covering areas such as around the nose and right underneath the eyes. Applying with this bush is also very quick which makes it a convenient choice when in a hurry. The tapered brush is widely known in the world of makeup artists and is recommended for all types of liquid products and skin types. The top buffing brush is just as the name would suggest; it’s completely flat across the top. This brush serves the primary purpose of making the application of heavy liquid and thick cream products much quicker and easier. All while giving you the appearance of an airbrushed look. A perfect flat top foundation brush is made up of synthetic soft densely packed bristles. And although the brush head shape can sometimes vary in size, the hairs remain evenly distributed to give the fullest amount of coverage. The best way to use the flat top foundation brush is to gently dab the bristles into the product, making sure to only get a small amount on the brush. Apply the makeup by dotting and working it into your face for a seamless, polished finish. The flat top buffing brush is an essential addition to your brush collection, making it a must-have for day to day full coverage. With its short stem and dense, compact bristles, the kabuki brush is an excellent choice for the everyday application of foundation. It is good to use with both liquid and cream variations, but it is ideal for powder-based cosmetic products. If you’re using a setting powder or powder foundation, the Kabuki brush makes it easy to blend in your products for an even, full coverage look, giving your face a soft and long-lasting finish. Topped with a soft round shape the brush’s short base makes it comfortable to grip and easy to control. The kabuki brush is proven to be very versatile and is also often used for applying bronzers and blushers, as well as foundations. 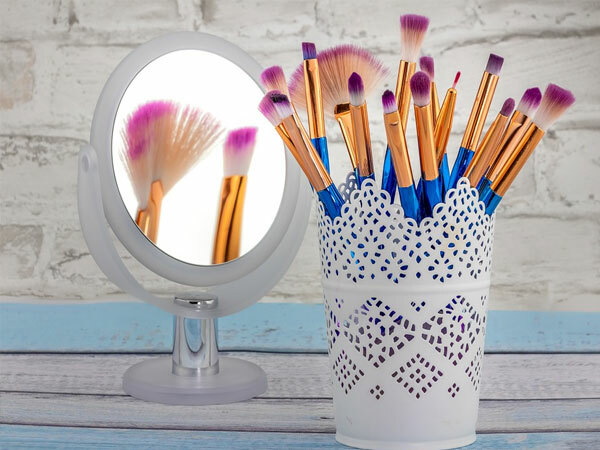 If you are all about that flawless finish when it comes to your makeup, then you just can’t afford to overlook the stippling brush. Similar to airbrushing in the world of art, a stippling brush makes it possible to airbrush your face! With its two sets of bristles and blunt edge, it is specially designed to blend your products together, creating a perfect and seamless finish. The first set of bristles are usually made up of white synthetic fibers. They are used for picking up the product and dotting it softly to your face. While the base second set, which is usually a natural black, are a lot denser and better for blending the cosmetic product into the skin. Nobody’s skin is perfect, and the air-brushing technique of the stippling brush is great for covering up those imperfections that we all must live with. I know what you’re thinking, it’s a sponge, not a brush! You might find it interesting to know that the blender sponge fits in the same category as any foundation brush. It is even often compared to another foundation brush, the stippling brush, which produces some similar airbrush like results. When used with the foundation products the fantastic beauty blender sponge can apply the sheerest and softest coverage you can get for your face. 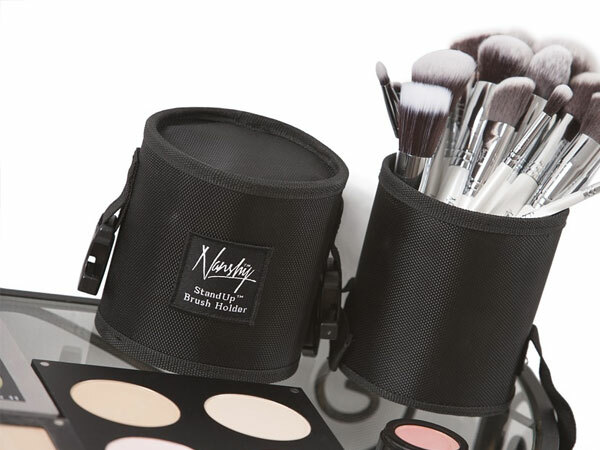 It is lightweight and easy to use, making it a must-have essential part of any collection. To use the beauty blender sponge, you first wet it by submerging it in warm or room temperature water. In the next step, you want to squeeze it until all the excess water is gone. Once you have drained the water and your sponge is left damp, you are ready to apply the foundation. 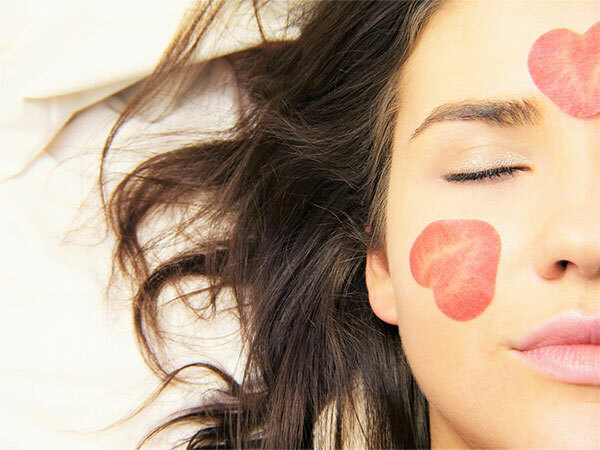 The beauty blender sponge is also the perfect choice for people who are on a budget. The only small drawback to using the sponge is that cleaning it can take more time than the regular makeup brushes., but it isn’t hard. To properly cleanse and disinfect the sponge it must be washed in warm water with mild soap. Use your fingers to gently squeeze and massage the cleanser in before rinsing it out. You can tell if your sponge is clean when the water runs clear. Having the perfect style for your eyes makes all the difference in the outcome of your overall look. But if you feel that it just isn’t up to your standards, you might want to check the brush you are using. There are three distinct eye cosmetic areas for coverage. These areas include the lid, crease, and liner. And there is every brush for all of them. Using the right brush is even more important that the makeup you are applying. 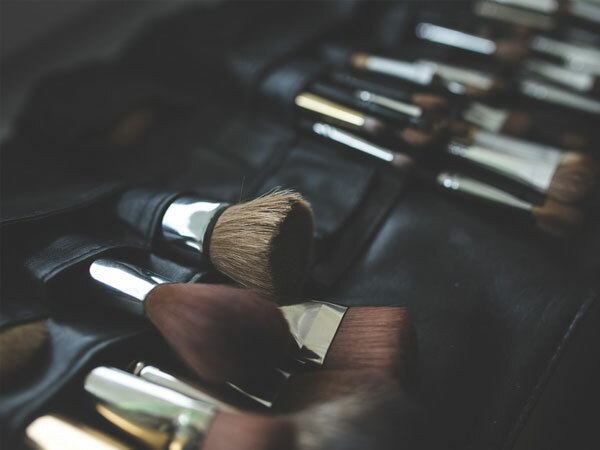 When it comes to eyeshadow and eyeliner brushes, the different shapes and densities will change the finished appearance of the product you use. So it is essential to learn about the brushes and their capabilities. This little brush does precisely as it says, it blends! Blending brushes are softer and less dense than other brushes resulting in a smooth transition between the different shades of your eyeshadow. They are also known as the “fluffy eye brush” because of their gentle feathery feel. This type of brush is designed for applying and blending color base eyeshadow into the crease of the eyelid. For a softer finish, you want to use a blender brush to smudge between each color to prevent hard edges lightly. The eye blender brush can also sometimes be used to contour and blend out the concealer around your eyes and even the sides of your nose. If you want to carve out the ultimate cut crease, this brush is the right choice for you. The cut crease brush type is considered to be one of the most useful of eye brushes by most makeup artists. The reason for this is mostly due to its smaller size, which allows for a more accessible and super precise way to draw out the shadow before blending it in. Yes, this brush can also double as a smaller version of a blending brush although it will not blend as seamless as a blender would. That doesn’t mean you can’t use it to slightly blend your lines in. The tiny size of the cut crease brush also makes it the best for using on the inner corners of your eyes. Ever wish you had wings? This brush might not be able to make you actually fly, but it can make your eyes look fashionably so with a beautiful winged look. This eyeliner brush comes in either an ultra-thin tapered sharp winged or angled tipped shape. It is designed for the precise application of liner around the eyes, which makes it easier for everyone to achieve a thick winged eyeliner look. Although It is usually specifically used with powder based products, the winged eyeliner brush can also be used with all types of makeup including liquid or gel liners. Just wait until you see the winged or angled eyeliner brush work its magic. Similar but thinner to the winged eyeliner brush, the next brush we will discuss is another best choice when it comes to getting those perfect straight, thin lines for your eyes. The fine point precision brush is a small, dense and pointed pencil-like brush designed specifically to draw on ultra-thin eyeliner. If you are already using a liquid eyeliner, this brush will feel slightly familiar but much easier to control. Precision is vital while using this fine pointed brush, leaving little room for mess or error in the application of your eyeliner products. The fine point precision eyeliner brush is wildly used in many different makeup styles and routines, making drawing around your eyes easy and stress-free. One such style that this brush is commonly used for is achieving the famous and flattering cat-eye look. The ease of using this pointy brush makes it another perfect favorite. After using a fine point precision eyeliner brush, you will never return to the days of fighting to get that perfect straight line with your pencil or liquid eyeliner ever again. A brow brush can help fill in the gaps or sparse areas of the brow to give you a more completed look. The only difference in the brush is the size. Brow brushes are all the same when it comes to their shape, so there is no best brow brush for each effect. Although there is little difference in shape, the size of each brush can make a clear outcome whether you are trying to achieve a thin or denser appearance. A perfect brow is defined but subtle. When going for the thin brow, you want to work with a smaller, lighter brush. The smaller brush will pick up and smoothly apply less of the product. But sometimes you might prefer a thicker brow. For a denser look, you want a brow that is full but not too bushy. You will want to grab the larger of the brow brushes in order to apply a more concentrated look. Lips are not only about lipstick. Yes, there are even brushes specially made to use on your lips. A lot of people prefer the brush over applying regular lipstick. Lip brushes are designed with curved, tapered bristles and serve the purpose of applying a lip product with more precision, preventing the risk of smudging or bleeding. A lip brush is easy to use and can be placed right into a cosmetic product from a tray, or can even dipped straight from the tube of lipstick. With its long handle, it provides more control. This will result in a more natural, even, and sophisticated outcome. Lip brushes are often jointly used with lip liners and lipstick. A lip brush can give you more control and accuracy when blending the colors of the lip and liner seamlessly together. The precision of the brush gives such a finish that some people refuse to use lip liners. Contour brushes serve the purpose of applying your favorite powder products and bringing your face to life, giving it far more depth and dimension. 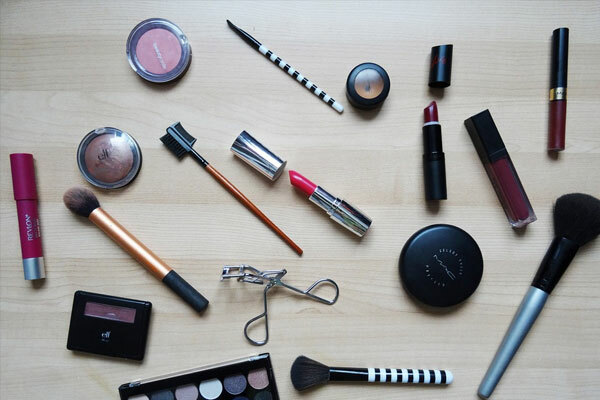 As you have learned, there is no one single brush when it comes to the world of makeup. But coming up on the blush and contour brushes, the options are a little less numerous and confusing. I powder brush is the largest and softest of all brushes with long, fluffy bristles. The powder brush is mainly used in order to evenly distribute loose powder products evenly across your face. The softness of this brush prevents the makeup from becomes too thick or cakey as it is applyed. You never want to use liquid or cream products with your powder brush as it is speciffically designed for powder only. 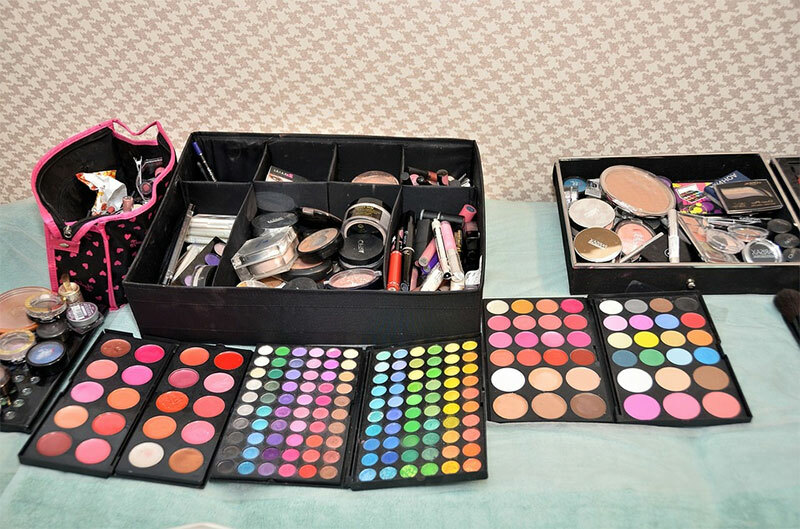 But it can be used with any powders such as blush, bronzers, and highlighters, as well as powder foundations. 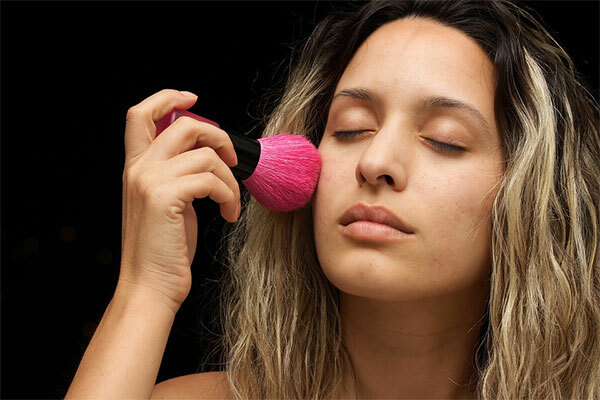 The blush brush is the most common brush you will see in the world of makeup. It is smaller than the powder brush and usually features a dome-like shape. Similar to the powder brush, the bristles are long and very soft to the touch. The blush brush is used to apply and blend more concentrated powder or cream, and sometimes liquid cosmetic products to your face. The small and medium brushes are best used for an overall more rounded shape to the blush. Unlike the previous brushes, the angled brush has a slanted shape which offers a great deal more precision when applying your favorite products. The bristles of the brush are designed in this way to achieve a sculpted or professional look. The head of the angled brush can hug the contours of the face, making it easier to apply for full coverage. So it’s no surprise that it is best to use when contouring. Don’t know what contouring is? Or in this case, a whole new appearance! As you can see a lot of work goes into contouring your entire face for that perfect glam look. It can take a lot of time, practice, and failed attempts, but the outcome is unbelievable! You want to use the powder, blush, and angled brushes along with your products to achieve such a transformation. 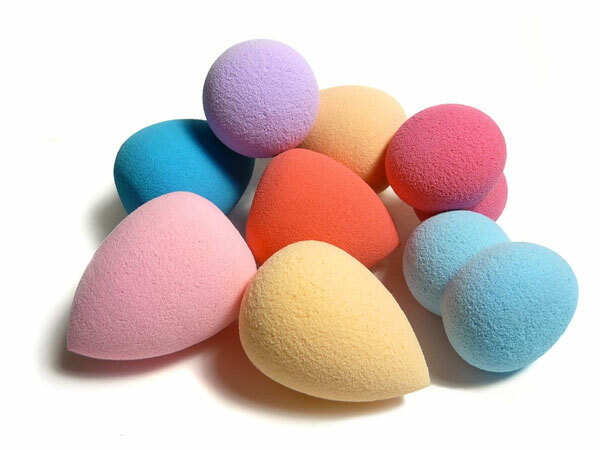 You can also use a beauty blender sponge with your brushes to assist in the blending. 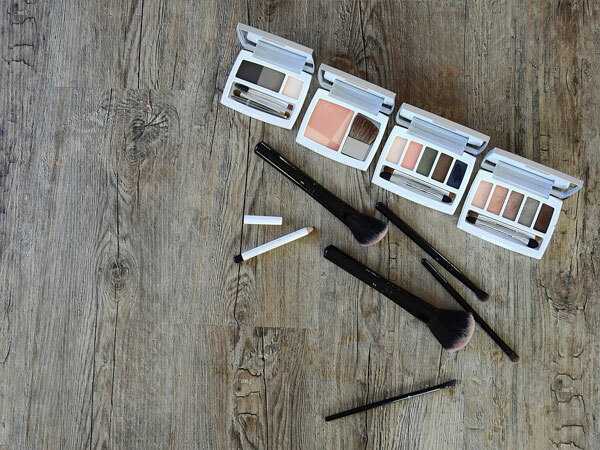 Applying makeup with our brushes and cosmetics can be fun. 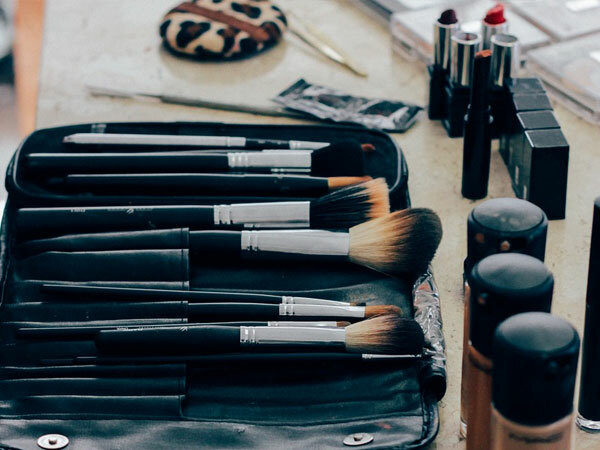 Whether dressing up for a night out on the town, creating unique and exciting new looks or just feeling confident for day to day life, we use brushes to paint and contour our faces all the time. But how often should those brushes be cleaned? In order to prevent both product and bacterial buildup, it is crucial to clean your brushes once a week. But this is only at the at the minimum. It will not cause any damage to clean your brushes more often. 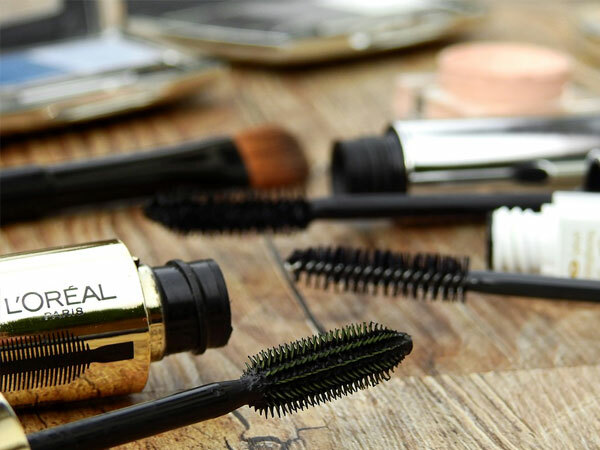 After all we use these brushes on our face and around our eyes and lips. So the cleaner, the better! In fact the more you clean your brushes will help extend the life of the bristles. The hairs can sometimes hold onto oils, debris, and bacteria making them dirty which can also result in spotty applications and poor accuracy. You can choose to use a special brush cleanser, but the best method of cleaning your brushes requires no additional cost or products. It only needs water and a pure gentle soap. Try to avoid using regular soap formulas that can dry out the bristles of the brush. The first step to getting your brushes clean is to get a glass or lukewarm water. You want to allow the tip of your brushes to soak for a little while in the water before applying a brush cleanser or soap. Do not submerge the entire brush into the water! Place a small drop of soap or cleanser into the palm of your hand and gently massage the bristles of the brush against your skin. You want to be gentle to prevent any distortion to the shape of the hairs. It is essential that you remember to re-shape the head of the brush. This is done to ensure that when the brush drys it doesn’t lose its original shape. We also recommend allowing your brush to dry on an overhang instead of a flat surface. Anything like the edge of a counter or the corner of a dresser will work. Hopefully, your makeup brushes help you look WAY more put together than that child. 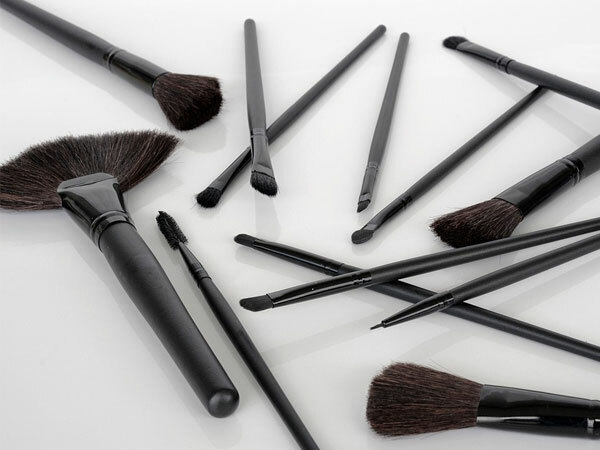 Each brush has a purpose and you need to have an entire set if you want to apply your makeup properly. Don’t freak out, though! If you shop around you can find great sets for affordable prices.